Disney World park tickets are expensive and can be confusing to figure out. Today, I have info on which options are available and who should choose each one. I also have a quick tip about your techie setup when making hard-to-get dining and FastPass+ reservations. 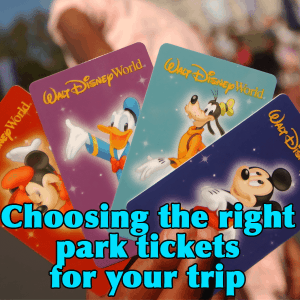 Base tickets with the Park Hopper option - flat rate fee on top of the price of base tickets that allows you to enter more than 1 park per day. Read my article on who should make use of Park Hoppers for more info. Annual passes - unlimited entry into the theme parks for 1 year which makes sense for people who will spend more than 10 days per year there and sometimes makes sense for people only making 1 trip. People buying a package will pay full price through Disney since packages require you to book a hotel and park tickets (and you can add a Disney Dining Plan optionally). The best deals are often found through third-party wholesalers like Undercover Tourist (use the UT link in the Mousesavers.com newsletter) or Official Ticket Center which is who I use. We added park hoppers but after doing more research i do not think we need it. Can i remove it from my reservation? Hi Shannon, I’m still confused about the Water Parks option. If I get a 5 day pass, I get 5 passes to the water parks, etc. They don’t have to be used on the same days, right? I could do 5 days at parks and then the 2 following days at water parks? Also to get free dining when it’s offered, do u have to buy park passes and rooms directly from Disney to get the deal? What if I book my rooms off of Expedia? Just a question on the park hopper with waterpark fun and more….. If I have a 7 day park hopper with the waterpark fun and more addition, does that mean I can spend 7 days in parks and then an 8th day in the water park, or is the water park one of my 7 days? All of your park days must be used within 14 days so you can do it whenever you’d like within that 14 day period (so 7 park days and then 1 day in a water park will work fine). I am not sure if you addressed this in another podcast or not but if one buys park tickets thru a third party vender i.e. official ticket center do you receive the magic bands or is that only when you buy directly from disney? My friend came back from a trip in August, and they had the park hopper and water park and more option on their tickets. They spent all week at the parks, and intended to spend Saturday, their last day, at a water park. But they were denied entry, because they used all of their park entitlements and were told they had needed to use their water park entitlements in between their first and last park entitlements. Does that sound right? You know, now that I think about it, I wonder if they tried to ADD that option for Saturday, after they had used all their park entitlements. In that case, I know for sure that you can’t make changes after you’ve used up all your park days. Does book FP+ have the same process as booking dining reservations? My 60 day window opens on Monday 8/25, so can I book all my fast passes for the whole trip at one time? And can my husband and I be logged in at the same time to book two different fast passes at the same time? (we did this for dinning reservations and it was a BIG help!). 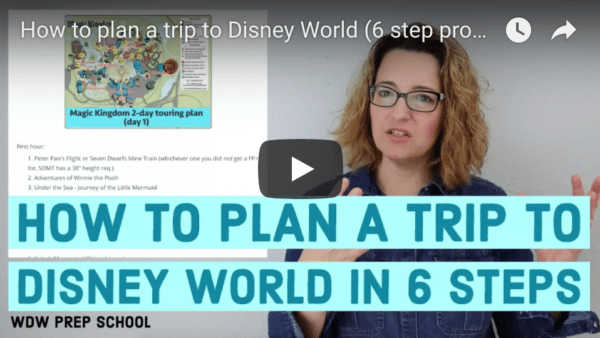 Yes, you can book all of your FP+ for your whole trip. FP+ opens up at midnight eastern time 60 days beforehand, dining reservations open up at 6 a.m. eastern time 180 days beforehand. The thought behind using multiple devices to get the hard to get reservations is that you can be looking at booking E/A FP+ on one device and book 7D FP+ on another one, correct? This will hopefully maximize your chances or getting everything you want. Like everyone else FP+ is making me nervous! I get to book mine in a month! Yes, but I would try for those two FP+ on different days. Thank you! That was my plan. We have 3 days at MK so I hope we will get all we want!